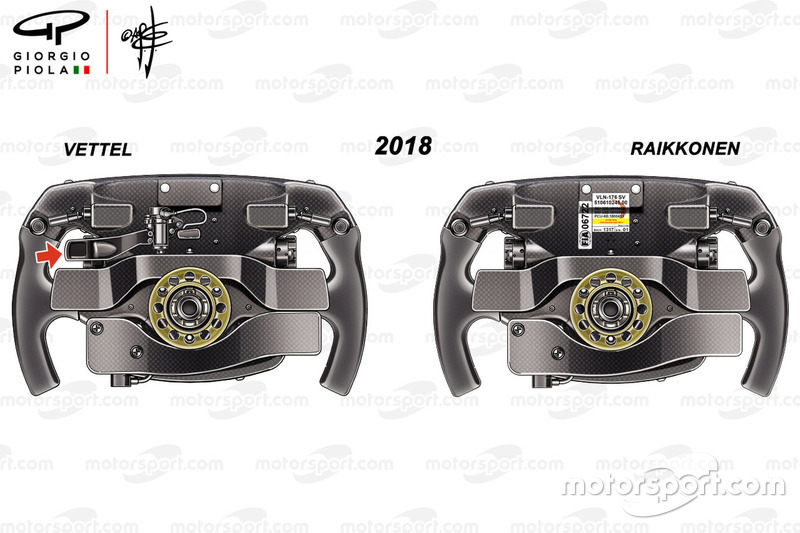 Ferrari is at the centre of fresh Formula 1 technical intrigue with the appearance of a mystery new paddle on Sebastian Vettel's steering wheel. The new element, which features only on the German's car and is not being used by Kimi Raikkonen, has fuelled speculation that the team has found a clever way to boost its performance through the changing of some car settings. The team tried to keep the presence of the paddle a secret, but it was spotted after the German's pole position lap at the Bahrain Grand Prix when he stopped on the grid for post-qualifying interviews. It features on the right-hand side of the wheel, above the clutch and gearchange shifter. Ferrari has been tight-lipped on what the paddle is for, but it has denied early rumours that it is being used to alter engine map settings to help keep its exhaust blowing in corners when off-throttle. Such behaviour is unlikely, though, with the FIA having made clear pre-season that it would clamp down hard on teams that tried to change engine settings to deliver off-throttle blowing. Speaking about Renault's blown rear wing and what teams were and were not allowed to do, Whiting said: "I don't see any problem with it provided we are sure they are not operating their engine in a false mode - a mode that wouldn't be normal." 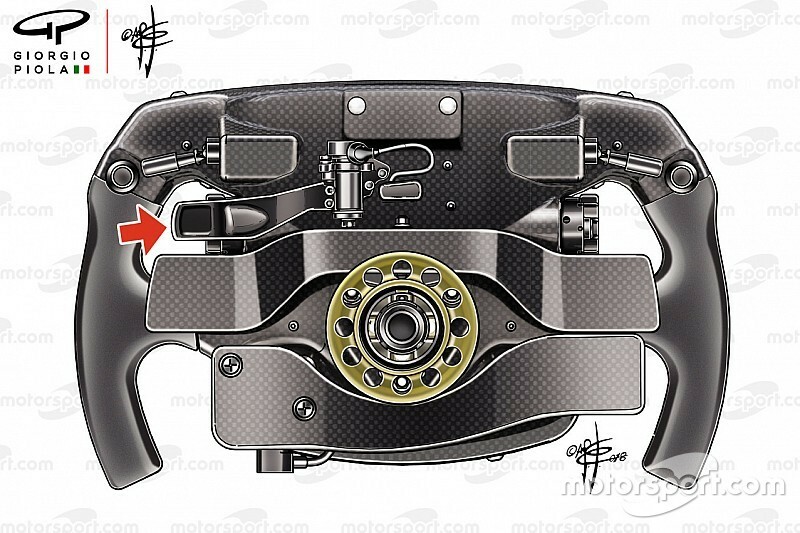 The Ferrari paddle may however be linked to some kind of setting that needs to be changed mid-corner – either on differential, engine mapping or energy control - because its positioning appears deliberate to allow it to be used when the steering wheel is being turned. Furthermore, the fact that the paddle has a rotary sensor means it is something that can be adjusted in incremental steps, rather than simply being an on-off switch. Speaking on the latest episode of Motorsport Show, technical analyst Craig Scarborough said: "When I first noticed this, I put it away as one of those little changes, but there's something unusual about this paddle. "You can see there's a rotary sensor there, so it's a variable thing. So it's not him switching something off, it's him demanding either something increasing or decreasing around the car." Ferrari is no stranger to making tweaks to controls at the back of a steering wheel. 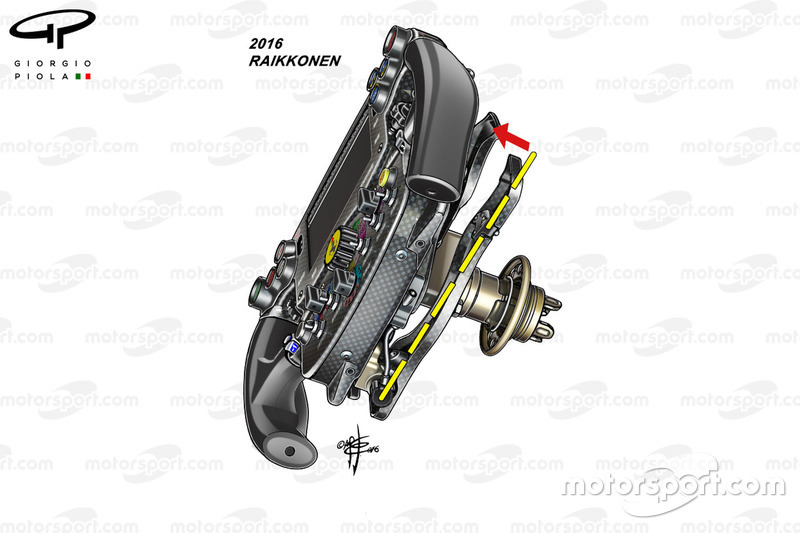 When the FIA changed the rules ahead of the 2017 season to allow only a single clutch paddle and increase driver influence on the launches off the start line, teams introduced several modified systems. Ferrari brought in a single long, offset wishbone (above) to allow the drivers better feeling and ability to control the traction from the rear wheels amid rules that forced linear relationship between paddle application and throttle. Prior to that, it was possible for the clutch paddles to be mapped to give a wider window in which to make the perfect start. 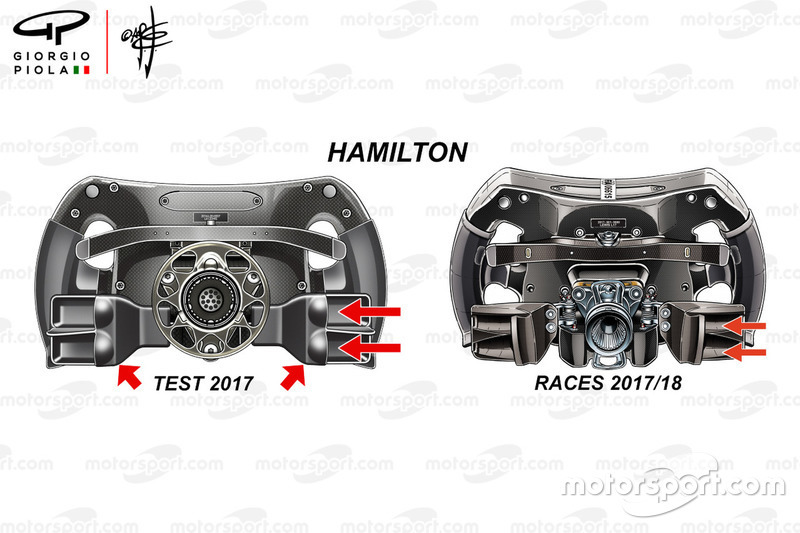 But during pre-season testing last year, Lewis Hamilton ran with two paddles for the clutch that allowed the driver to place his fingers inside for greater control (above). These were refined for the first race of the season from the testing spec (left) to the proper spec (right). 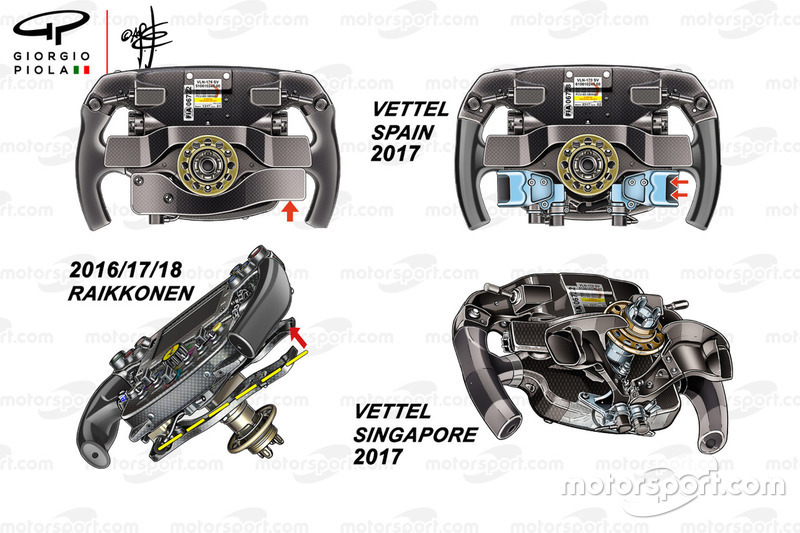 For May's Spanish Grand Prix in 2017, Ferrari introduced a similar solution on Vettel's steering wheel (above), which was initially built in titanium and then in carbon fibre. 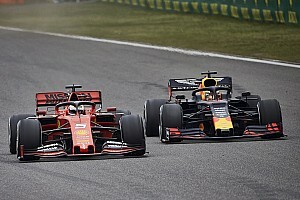 Vettel retained the system until last year's Singapore Grand Prix, when he made a poor start and then collided with Max Verstappen, after which he reverted to the same system as Raikkonen for the Japanese Grand Prix.